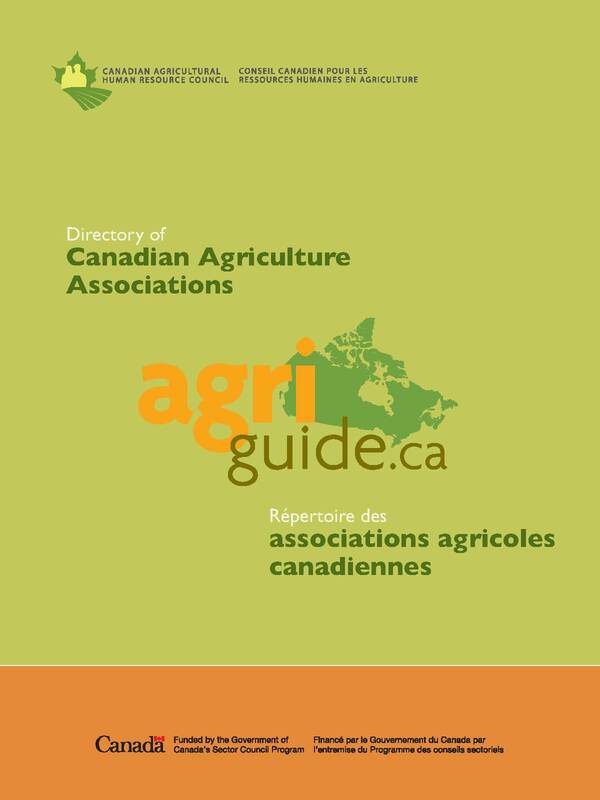 I’m impressed with the contents and appearance of the new directory of Canadian agricultural associations, called the Agriguide, produced by the Canadian Agricultural Human Resources Council. This online, searchable database contains contact information and a brief description of 500 not-for-profit and publicly funded national, provincial and territorial farm-related organizations and commodity groups across Canada. Besides accessing the Agriguide online, you can purchase a hard copy of it, or the downloadable PDF format, by contacting the council at 1-866-430-7457, Ext. 227 or hauer@cahrc-ccrha.ca. Kudos to Danielle and her staff at CAHRC for a job well done.